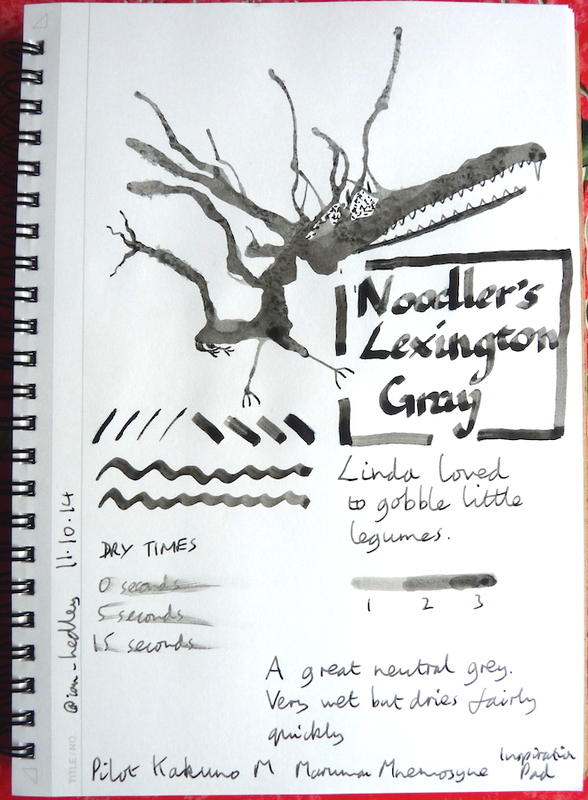 Noodler’s Lexington Gray ink review – Pens! Paper! Pencils! This is a great neutral grey/gray. It’s very wet but dries in a reasonable time. 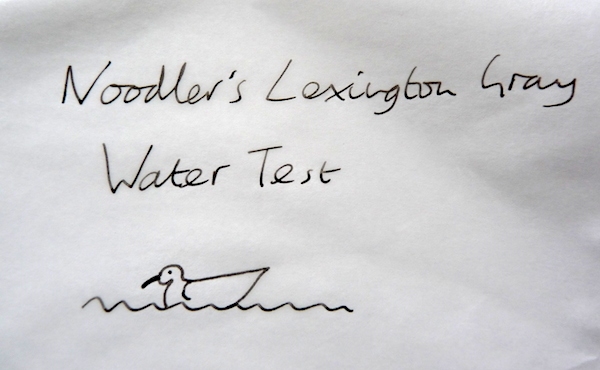 This is part of Noodler’s waterproof range. I believe this is one of Noodler’s “bullet proof” inks. Did you test how it behaved with Field Notes or Doane Paper notebooks? 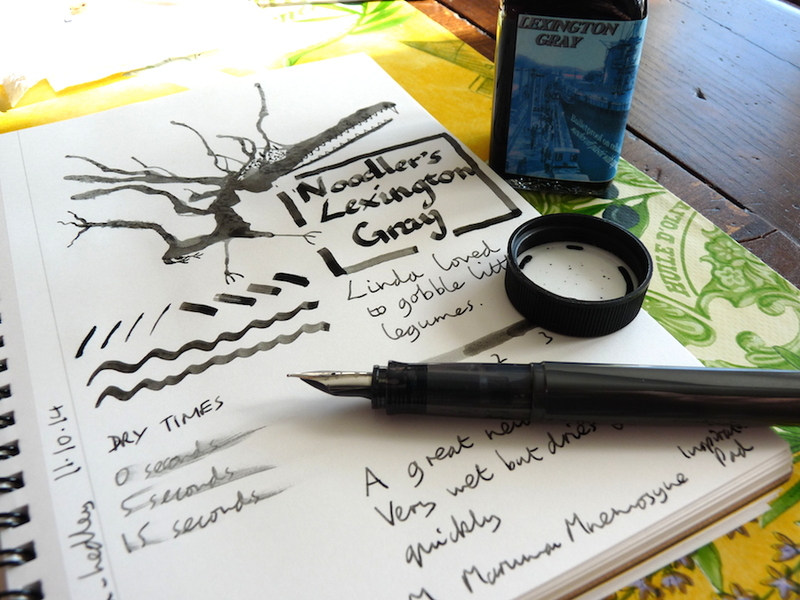 I don’t have either to hand as I find Calepino notebooks handle fountain pen ink much better. I’ve tried it on similar paper and it isn’t too bad. There’s some feathering and a touch of bleed-through but it’s not significantly worse than most other inks. You could probably get away with it, particularly if you used a fairly dry and fine nib. Linda tip toed away from her dinner plate hoping no one will notice she’d not eaten her broccoli . . .